A service concept. 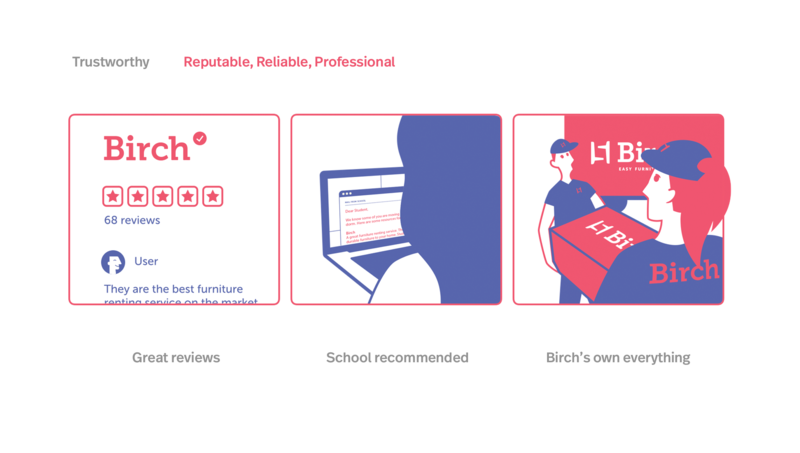 Birch is a sustainable furniture rental service that makes reusable and modern furniture easy and accessible to young adults in temporary living conditions. Life is complicated, especially when you about to get independent. 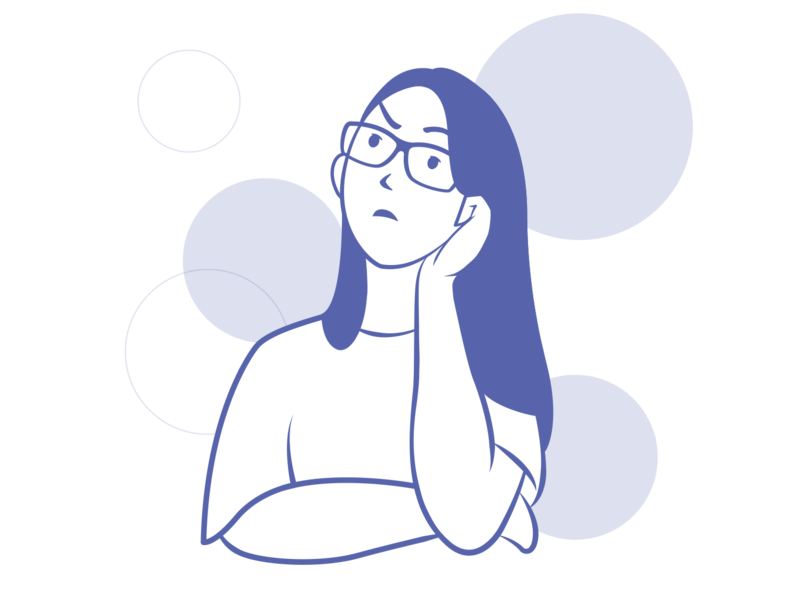 As young service designers, we decided to focus on young adults in their 20s to 30s, the time when they say goodbye to parents and say hello to self-management. Service systems are complex. A territory map will help us document and discuss initial knowledge about our problem space. In this case, our territory map is everything that a young adult needs to deal with in their life. Since our territory map is rather broad, we sent out a Google survey to help us focus on a specific problem space. We asked many young adults about their perceptions and opinions of their life situations. Based on the responses from our survey, we dived into housing area of the territory map, specifically looked at the ‘moving’ part. Have listed out things that related to moving and studying existing services, we chose furniture as our focus. 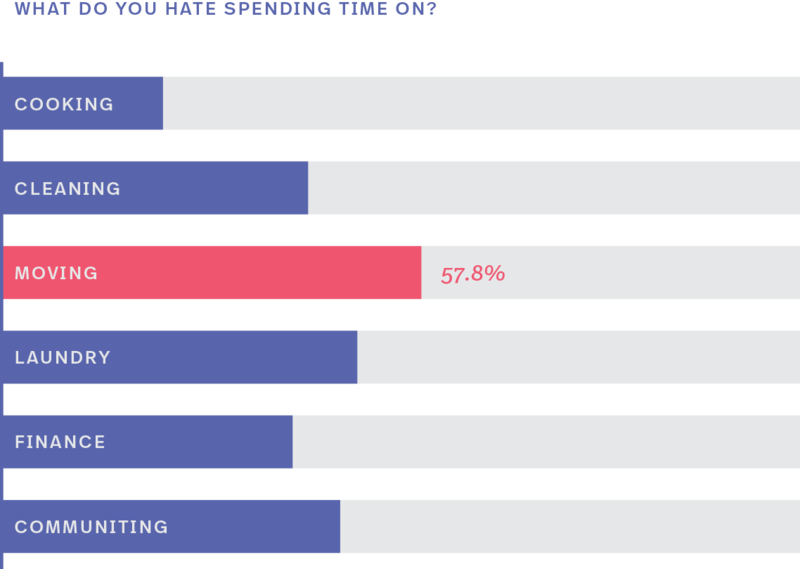 Furniture consumes lots of energy to move around, and it is troublesome for those young adults who are constantly moving between places. 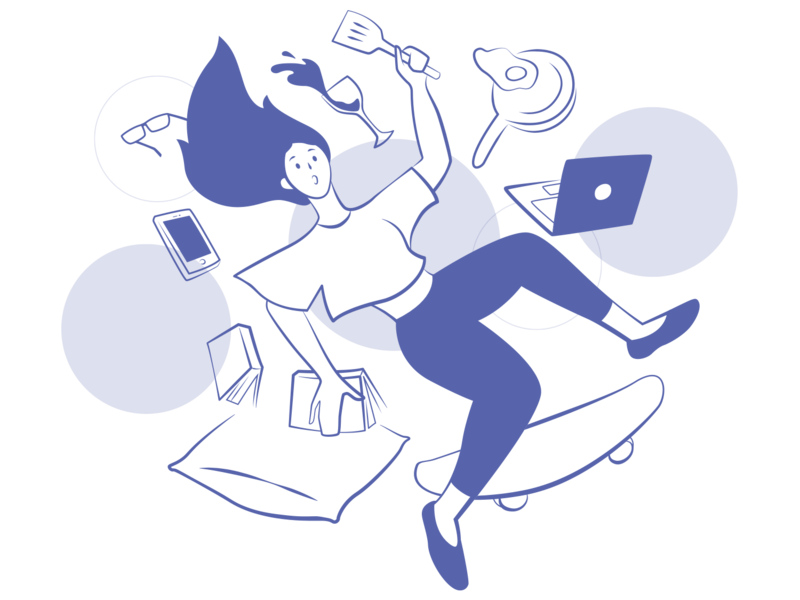 After identified our research area, we developed a question sheet and conducted interviews with several college students and young adults to learn their experience with owning furniture. 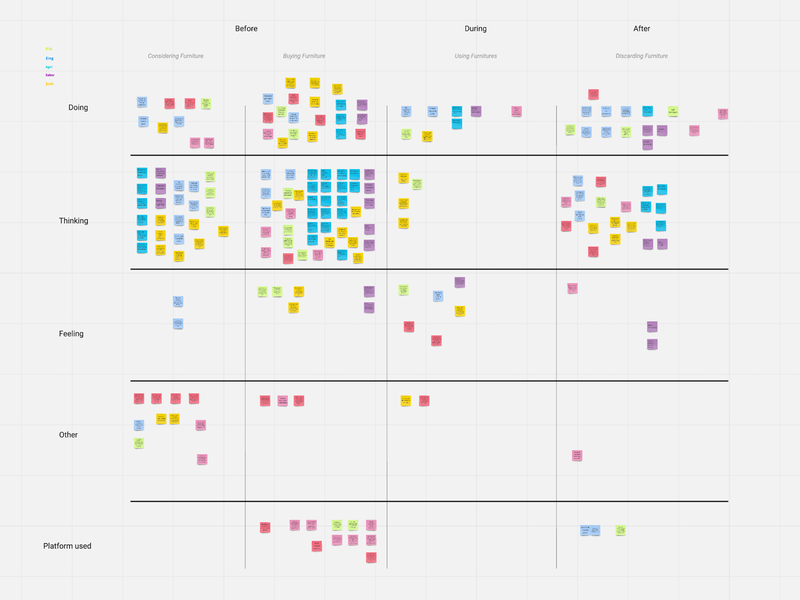 An experience map visualizes a service’s key moments over time and how they shape a user’s experience. 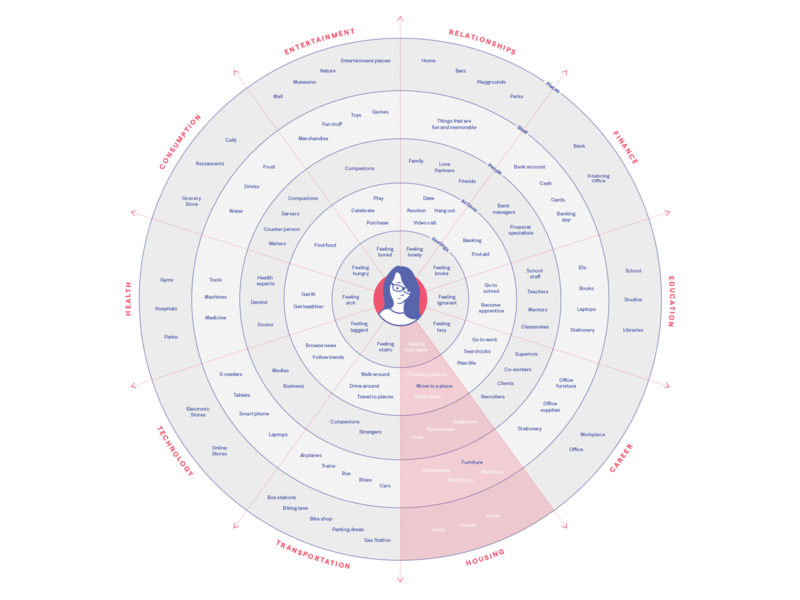 In this case, we use the map as a framework to synthesize our research findings, identify touchpoints, needs, pain points and opportunity, and prepare for ideations and potential design solutions. 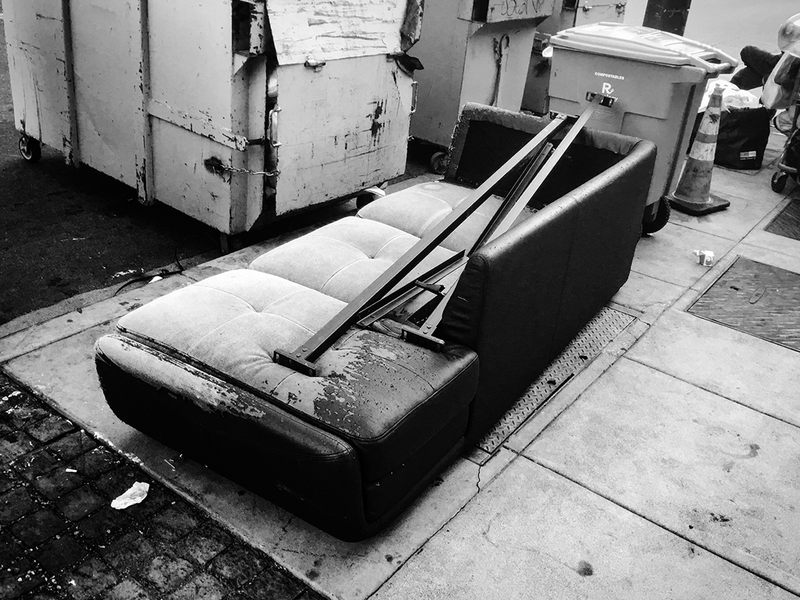 For our audience, the annoying parts of owning a piece of furniture are both transporting and discarding furniture. Moving furniture can be difficult without manpower and a vehicle; getting rid of furniture is a time-consuming process, where furniture could eventually become big waste. Without trust, trading furniture in second-hand markets can be concerning. 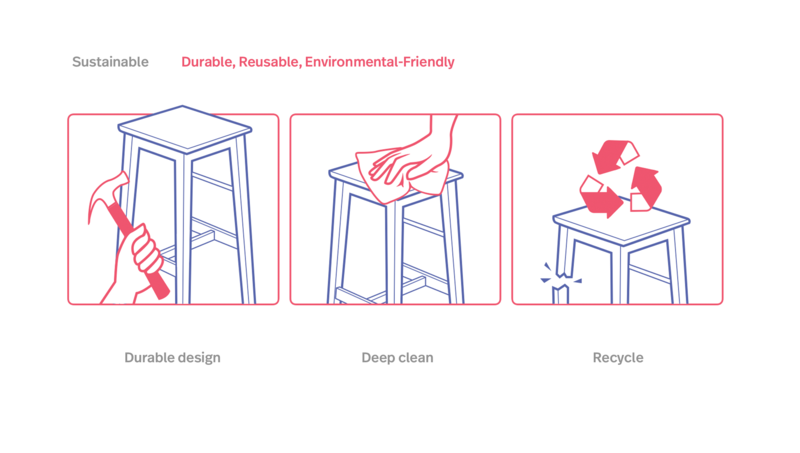 How can we create an easy, sustainable furniture service that designed for college students and young adults that live temporarily in cities? 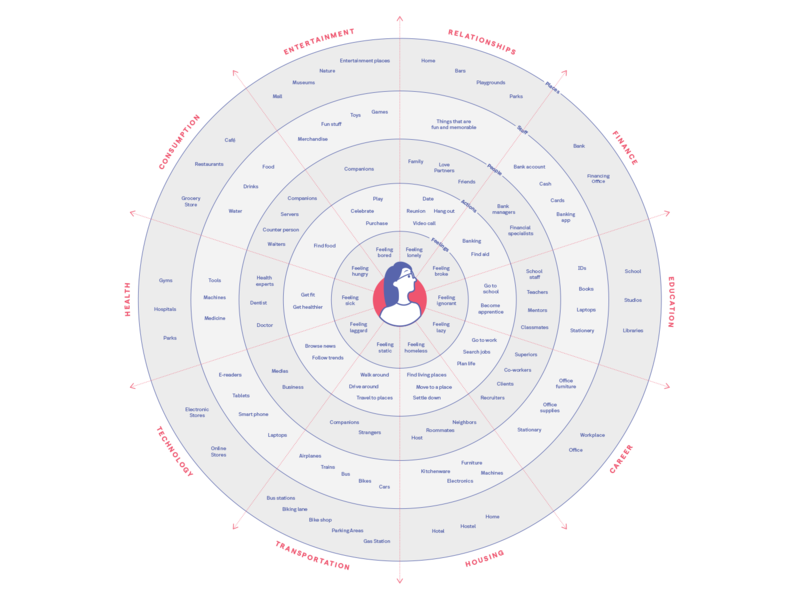 Based on the prompt and insights from the experience map, we brainstormed possible touchpoints and solutions, which we prioritized and combined into our service. Birch trees symbolize home, beginnings, and rebirth. Like a birch tree, Birch furniture is given a new life every time it travels to a new home. 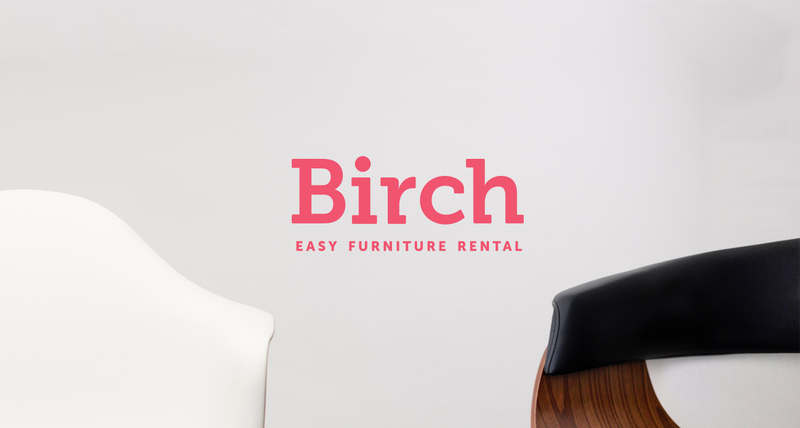 From selecting furniture to return furniture, Birch makes sure an easy and seamless furniture rental process. We created Birch Furniture based on the concerns and insights from our interview. As a result, we shaped four values as our guides, helping us to create corresponding features and touchpoints. Each slide above shows the meaning behind each value, followed by a set of touch points and features that further explain the value. 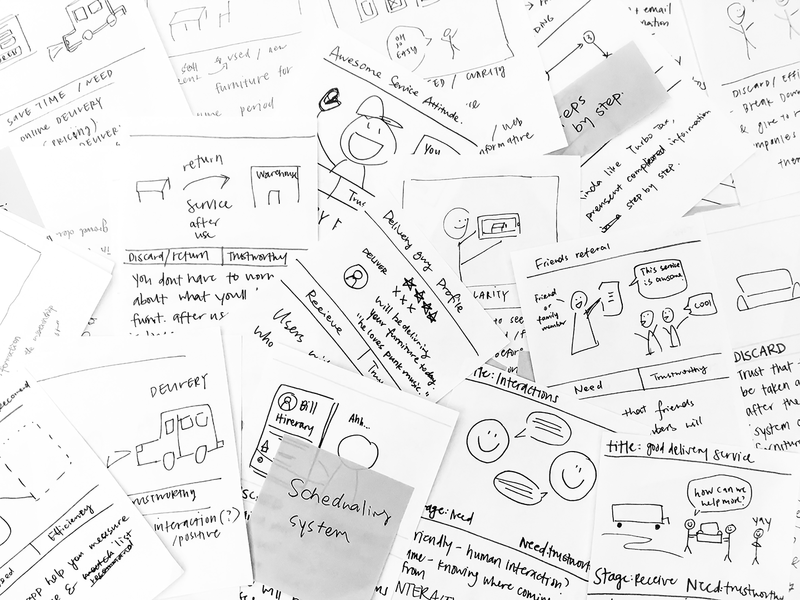 As service designers, we look at a service holistically. 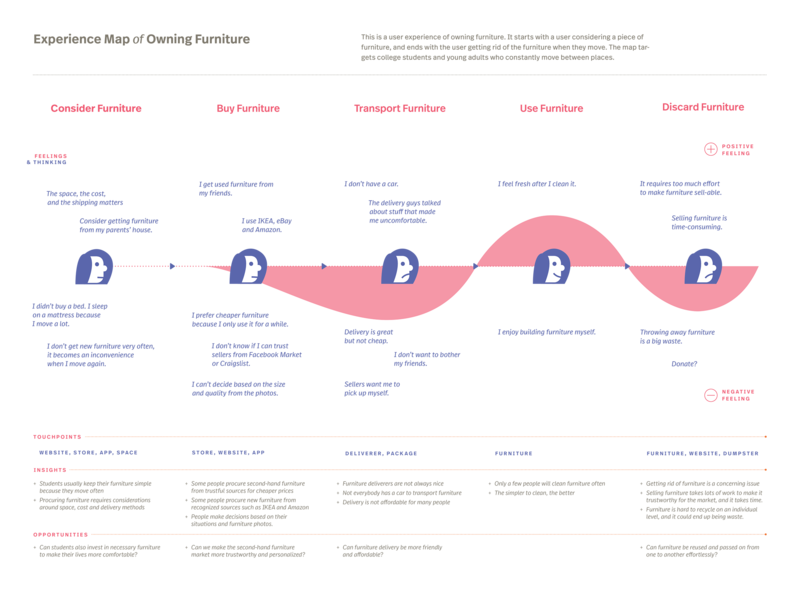 This service blueprint maps how frontstage and backstage interact to deliver our Birch Furniture service. It helps us identify possible gaps and make sure the service work successfully. 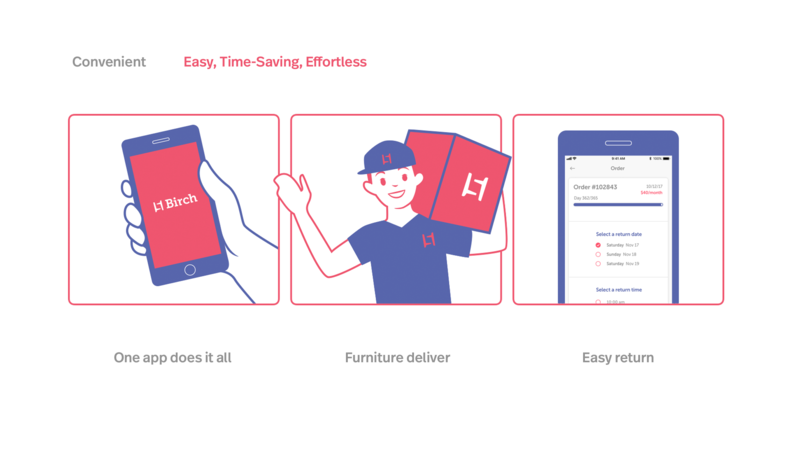 As one of the most important touchpoints, Birch App is the all-in-one tool for users to order, maintain, and return furniture. 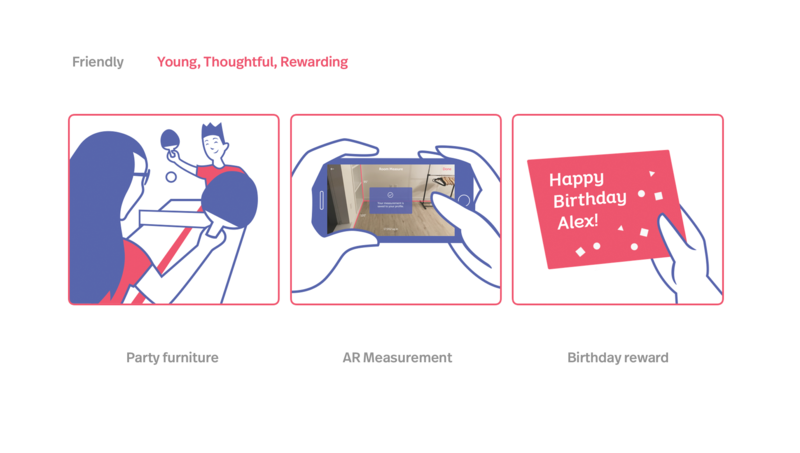 It contains Birch’s exclusive feature such as AR measurement, Bundle Price, ‘Keep or Replace,’ etc.